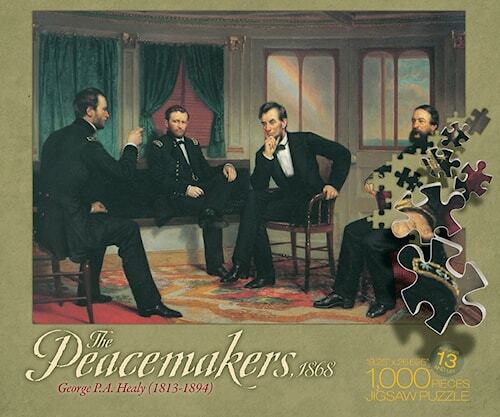 This 1000 piece jigsaw puzzle is entitled "The Peacemakers, 1868". The image is by George P.Healy, and features Abraham Lincoln and his generals. Puzzle size: 19.25" x 26.625"